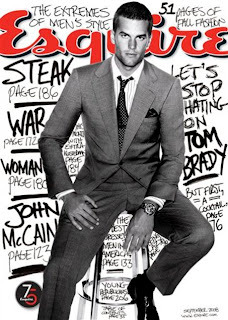 Tom Brady is on the cover of the latest issue of Esquire (September 2008). I haven't received my issue in the mail yet, but I saw it on the newstand at the airport on my way home yesterday. Normally, I'd quote something from the article, but to be honest it was really boring. The article's writer didn't really seem to have a great tone either. Click (here) to read the article for yourself. 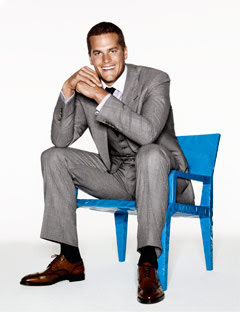 0 Response to "1000 Words - Tom Brady on Cover of Esquire"